Are your nails begging for a little TLC? 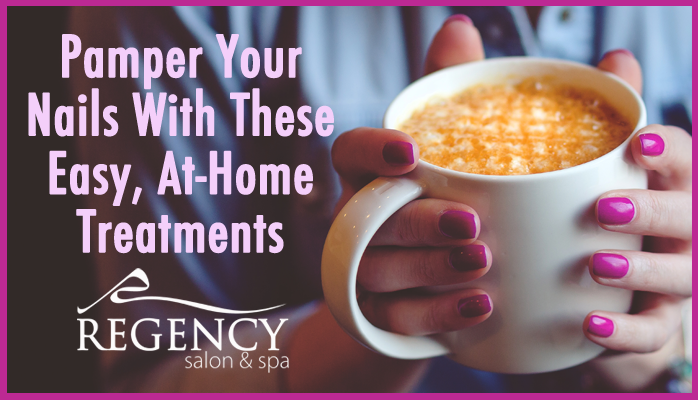 If you have dry skin, cracked or brittle nails, or ragged cuticles, it’s time to pamper your nails with a few easy at-home treatments. 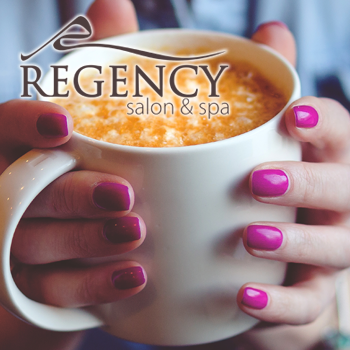 Your nails (and your salon stylist!) will thank you! Moisturize. Not only are dry skin and nails unsightly, but they can also lead to itching, cracking, and painful raw areas if you don’t take action. The good news? It’s easy to keep dryness at bay with a regular moisturizing routine. We recommend daily lotion (choose one with cocoa or shea butter for extra moisturizing punch) and deep treatments as needed with almond, jojoba, or coconut oil. Simply massage oil into skin and nails to keep them strong and healthy. Strengthen. If you have soft or brittle nails, consider a strengthening nail polish to protect against accidental chips and cracks. You can also try a vitamin supplement called Biotin to increase nail thickness and reduce splitting. Exfoliate. Exfoliation removes dead skin cells, keeping your hands looking beautiful and smooth. There are many exfoliators on the market, but you can make your own by mixing a tablespoon of olive oil with two tablespoons of course sugar. Rub gently onto your hands, paying special attention to the area around your nails. Rinse with warm water and moisturize. Routine. Establish a regular pampering routine that includes cuticle care, shaping, and resting. Treat your cuticles to cuticle oil once a week and keep them pushed back so they don’t grow over your nails. Shape your nails with a file to keep them looking cared for and beautiful. And give them a break from polish or nail treatments so they can breathe and maintain their healthy shine. Pamper! Pamper your nails with a visit to your nail stylist for professional nail care and treatments. Whether you like understated polish or straight-off-the-runway trends, your stylist can help you choose a nail design that fits your personality and lifestyle. Whether you invest in professional treatments year-round or prefer going au naturel with your nails, these tips will keep them looking their beautiful best all year long. Take the time to pamper your nails and they’ll reward you with a strong healthy glow for every occasion. Ready to give your nails the royal treatment? Call us at (864) 991-8877 to book your appointment today!